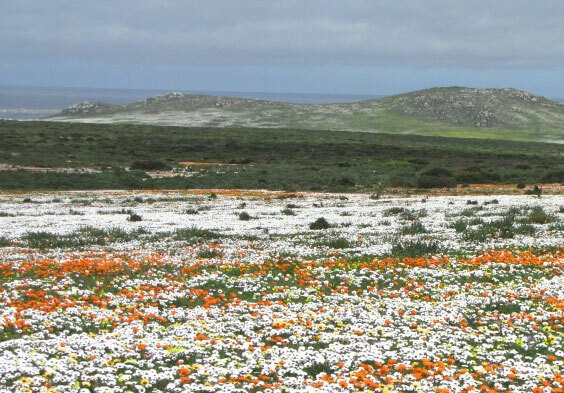 ravel along the N7 or R44 up the West coast to discover the ‘Floral splendor of Namaqualand. Drive through wheatfields, orange orchards and rooibos tea country to the charming small town of Clanwilliam. 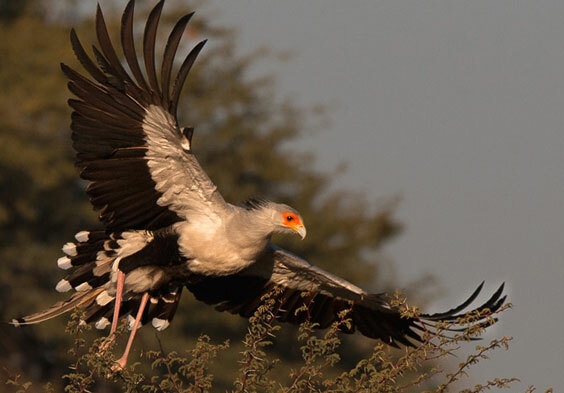 Stroll along the paths of the Ramskop Wildflower Garden with its 350 different species of wild flowers and visit the unique rooibos tea factory. Drive along the stunning Vanrhyn’s Pass, offering grand vistas of rock formations and the Knersvlakte. 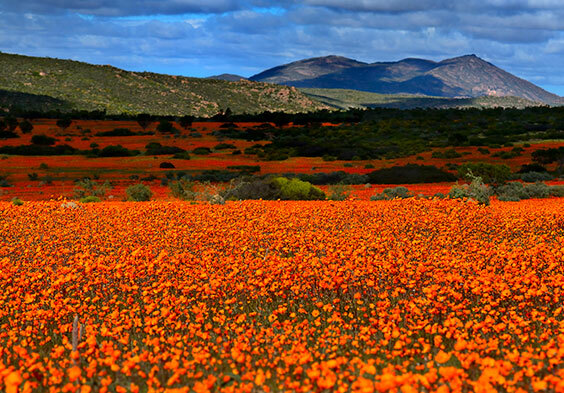 Visit Niewoudtville, the ‘Bulb Capital of the World’ and continue to the Namaqua National Park and the Skilpad Flower Reserve near Kamieskroon, with more than 620 square miles of vivid carpets of color. 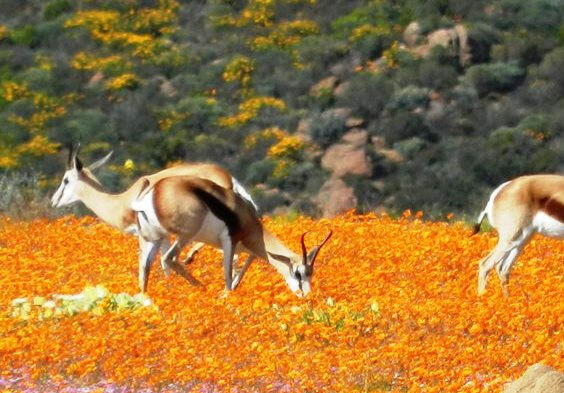 The final destination is Springbok, reputedly the flower capital of Namaqualand, where sightings of springbuck, gemsbok and zebra enhance the incredible bright yellow and orange flower fields in Goegap (Guchab) Nature Reserve and Hester Malan Wild Flower Garden. 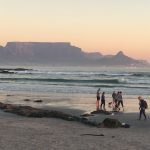 Driving back through the beautiful Olifants River Vallery, a rich wine, fruit and vegetable farming area, one could detour to the coast for a culinary feast on the beach! 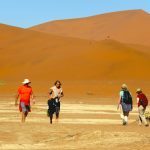 Springbok is ideal as a stopover en route to Namibia, if you would like to extend the tour. Arrival in Cape Town and welcome. Depart from Cape Town on N7 road trip inland up the West coast. Drive through wheatfields and towns like Malmesbury, Moorreesburg and Piketberg. Drive through orange orchards of Citrusdal. We drive over the Piekenierskloof Pass into the Cederberg area. Stop at Ramskop Wildflower Garden at Clanwilliam. 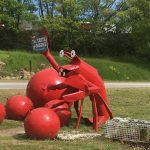 Visit Rooibos tea factory. Louis Leipoldt’s Grave on Pakhuis Pass. 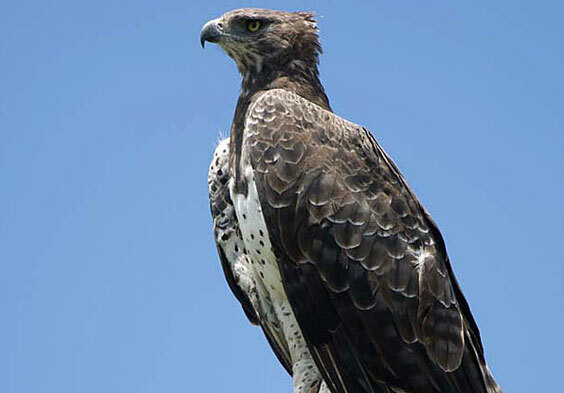 Drive to Loeriesfontein via the Van Rhyn’s Pass and Nieuwoudtville to see the large quiver-tree forest and massive windpump display, sighting fynbos, succulents and wildflowers. 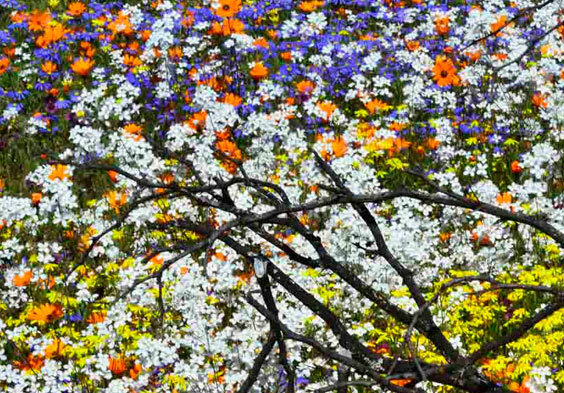 Visit the Matjiesfontein Flower Farm and Farm Stall, famous for its stunning fields of flowers. 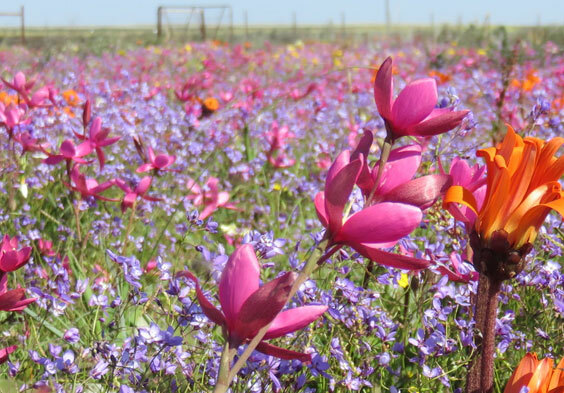 Visit Nieuwoudtville, known as the ‘Bulb Capital of the World’, to view the profusion of flowering bulbs. Optional: Visit sandstone church, a national monument; Waterfall nearby. Visit nearby Hantam National Botanical Garden. 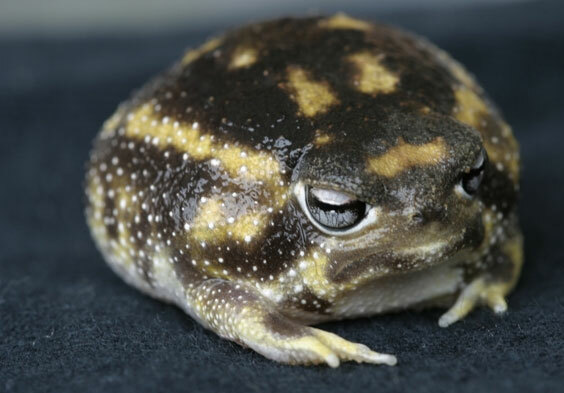 Drive back to and overnight at Vanrhynsdorp. 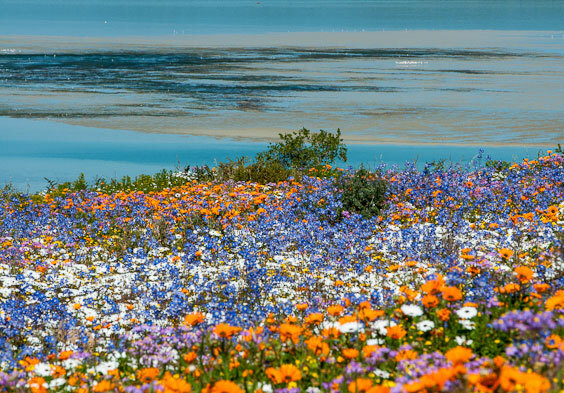 Up the N7 to the Namaqua National Park, incorporating the Skilpad Flower Reserve, near Kamieskroon, with more than 620 square miles of vivid carpets of color. 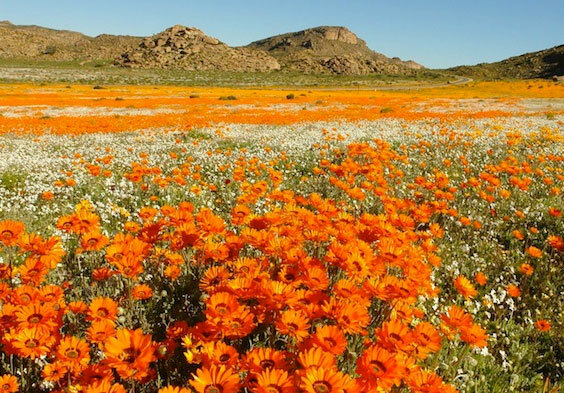 Drive from Kamieskroon to Springbok, in the heart of Namaqualand. Overnight and dinner at the Springbok Lodge & Restaurant. 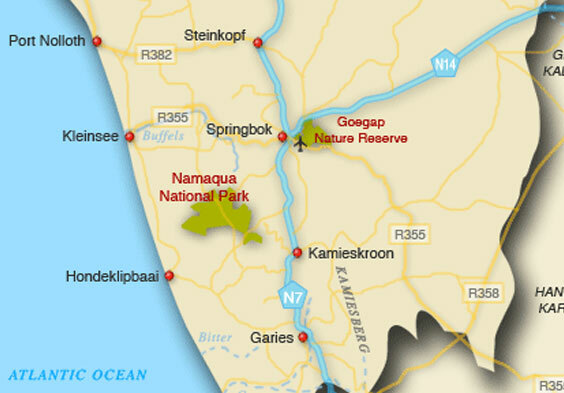 Drive through Goegap (Guchab) Nature Reserve and Hester Malan Wild Flower Garden, with sightings of springbuck, gemsbok and zebra. Drive down the N7. Turn west to Vredendal, famous for its flowers and wine. Follow the Olifants River Vallery, a rich wine, fruit and vegetable farming area, to get to Yzerfontein. 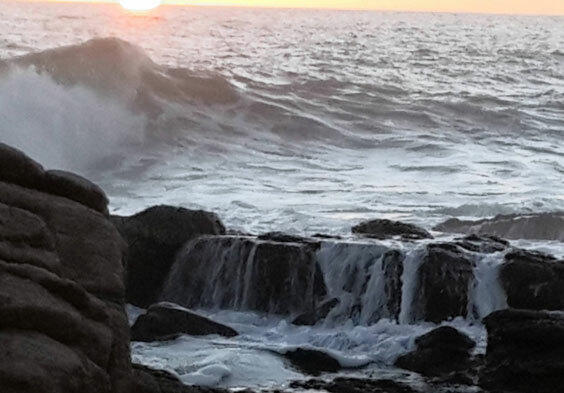 Have lunch and attend the Afternoon San Experience at Yzerfontein. Drive back to Cape Town.